Activists protested outside EU headquarters where country officials were meeting on Wednesday to decide whether to extend the licence of the weed killer glyphosate, amid concerns over its possible links to cancer. EU member states again postponed a decision on the issue, a day after the European Parliament backed a move to gradually phase out the licence and ban the product by 2022 – prompting the Commission to drop its proposal for a 10-year license extension. Many argue there are too many uncertainties about the health effects of glyphosate, the main ingredient in Roundup, Monsanto’s best-selling weed killer. David Schwartz, a campaigner for the WeMove.EU group, said it has filed a European citizen initiative signed by 1.3 million people asking for a full ban on glyphosate. 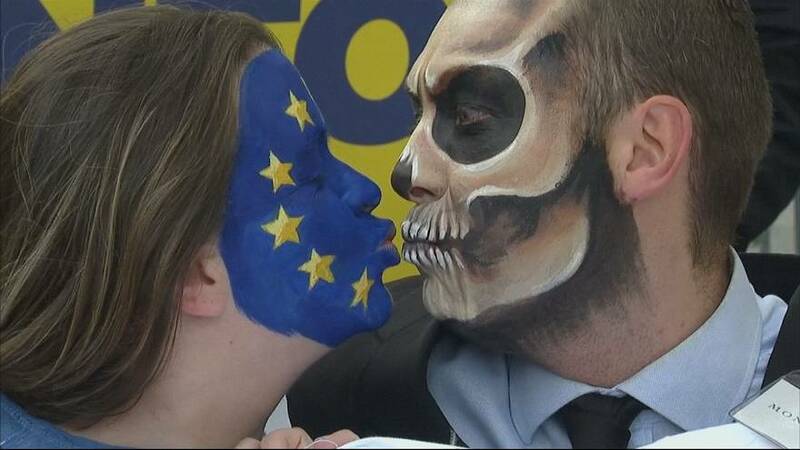 The demonstration in Brussels was “a symbolic action to show that European citizens want the EU get out of bed with Monsanto,” he said. The World Health Organisation’s cancer agency fuelled concerns in 2015 when it classified glyphosate as a probable cause of cancer. Tthe European Chemical Agency has since concluded, however, that there was no evidence of such a link. Weedkillers containing glyphosate have been in use for more than 40 years. The pesticides industry say the product is safe and that removing it would put EU farmers at a competitive disadvantage.